Go ask questions in the discussion thread, don't be shy! You can run your ideas by us over there and show us your prototypes, we love to help you decide to join the mayhem!!! What am I getting in return? You will receive 5 items, everyone gets to send the organizer a 'wish list' of items they would like to have. There are no guarantees, BUT you will get at least 2 items you wish for! The other items will be randomly selected. So, is this like a sampler swap? YES! you got it! Do all my crochet hats have to be the same color? NO, you do not have to make the exact same item for all 5 items, BUT they need to be one type of item, like 'crocheted hat'. What if I make little things? 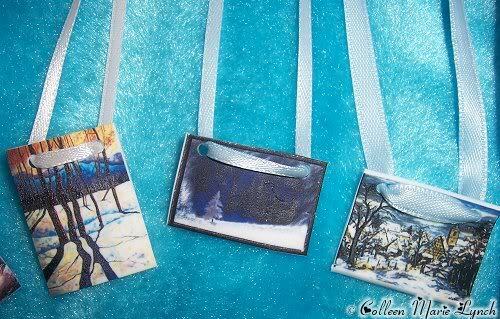 You may make a set of things, like gift tags, or greeting cards. Place as many in as set as you think fulfill the item requirements! Will the swappers be matched randomly or do they get to wish who to receive from? Oh, sorry! Yes, I guess I am a bit excited. But I can't join yet anyway, since I am in five other swaps. This is what I will be offering. I hope people like them. 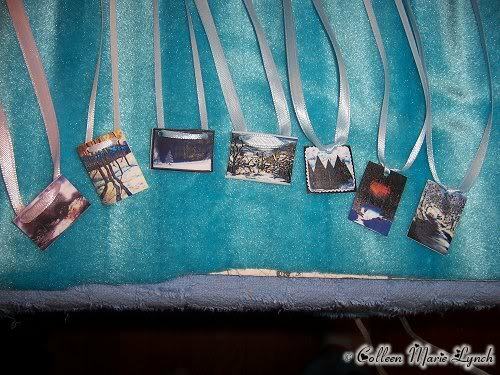 Are they inkjet printed shrinky dinks? I need idea's before I can sign up!!! Help me!!! What do you want to see swappers?? ?